The green “gold” that won 2nd prize at the Fiera dell’Olio in Cavriglia, Tuscany last Sunday. 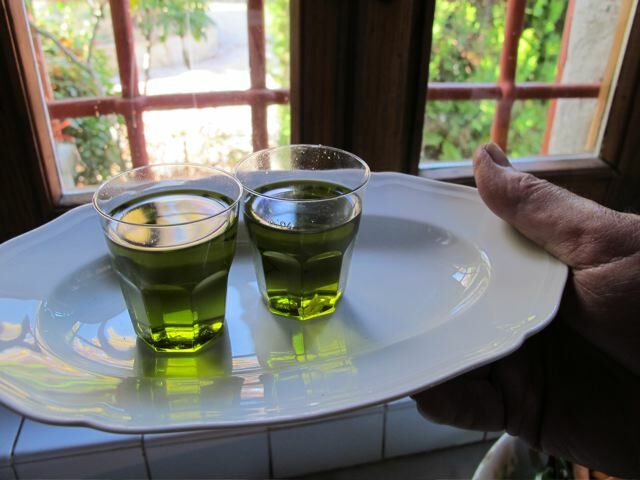 Our friend Keith has emailed to say their new season olive oil from his Podere [farm]Boggioli won second prize at the local fair this week. A good enough reason, if I needed one, to cook one of Helen’s signature dishes for lunch today. 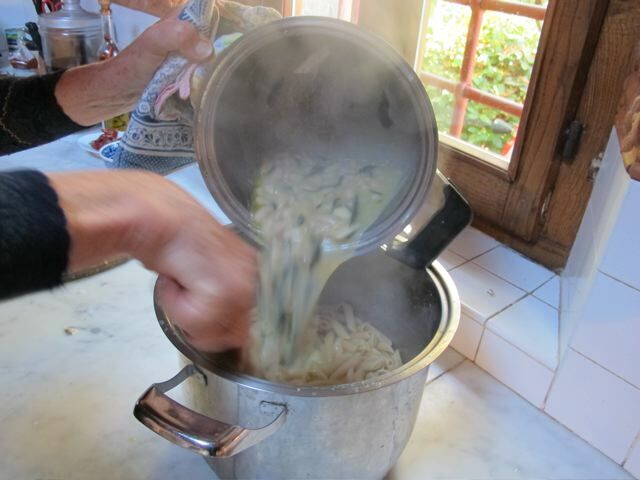 Helen cooked this delicious pasta after the last olive was in the basket and the picking was done for another year. Two of the team stayed to eat it with us–Lucio and Ivan. Both still had their own trees to harvest. I like to think they’d had the dish before and knew it was irresistible. Add the garlic and let it colour a little. 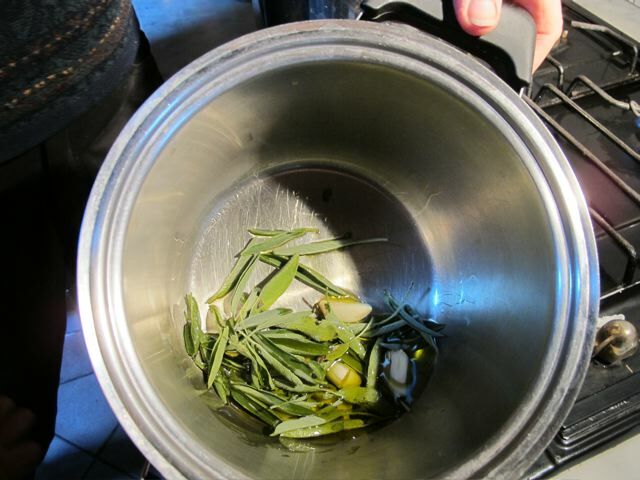 Add the sage and chilis and let them cook on for a few moments. Add the beans and cook gently for about fifteen minutes–adding the bean liquid little by little to make a thick runny sauce. 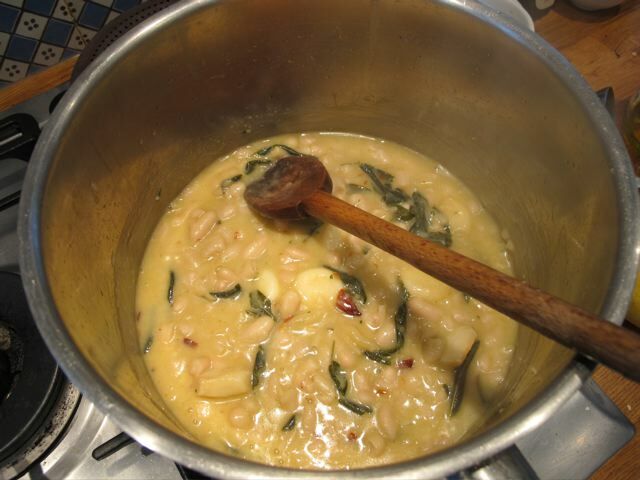 I continued cooking the mix a little longer, adding the tablespoons of stock–a couple at a time–to keep the mixture loose without losing the thick viscous quality of the sauce. Some of the beans will melt into the sauce. 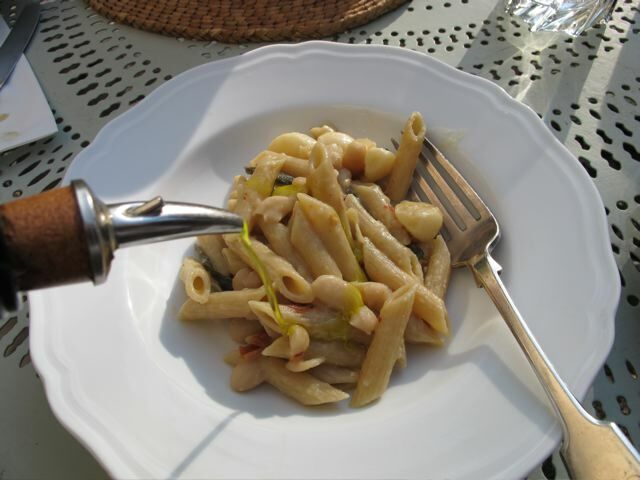 Cook the penne in plenty of salted water until just tender. Add the sauce to the pasta and let it meld in. 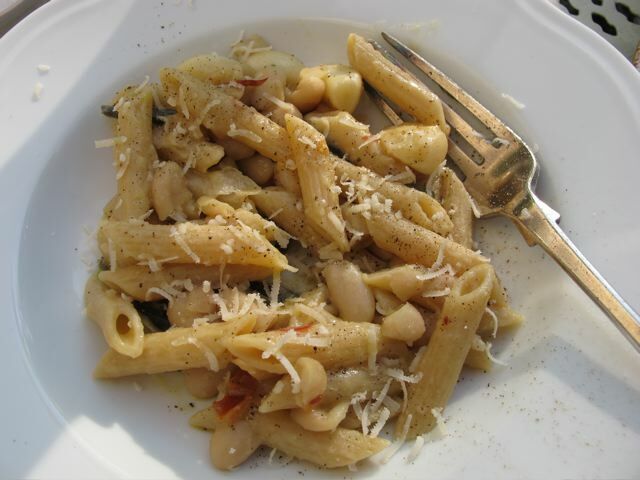 Helen doesn’t serve grated parmesan with this pasta–but it’s up to you, of course. 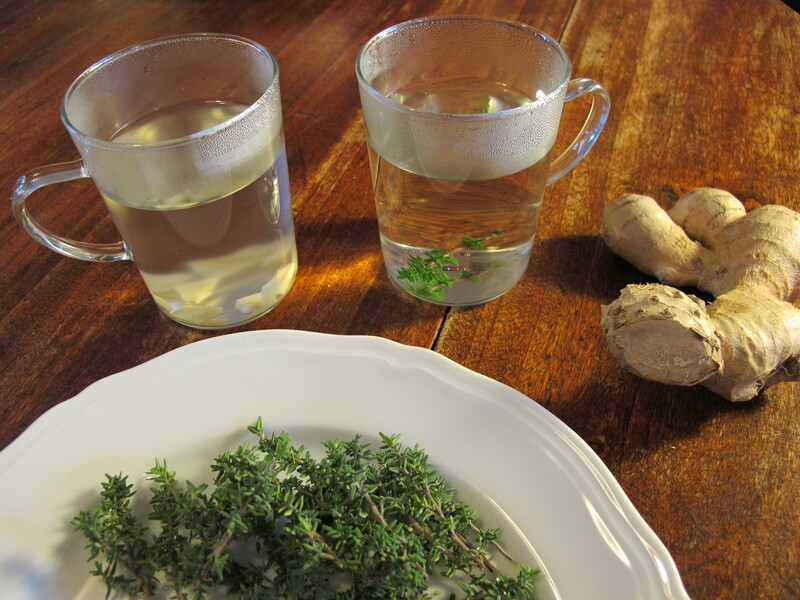 I poured over a little of the new olive oil–naturally! Meredith added a little parmesan–that’s marriage for you! We ate it “al fresco” in the late autumn sunshine.